Most golf professionals will tell you that the grip is the foundation for a golfer’s swing. North Carolina-based Golf Pride Grips is recognized globally as the No. 1 choice in grips among touring and club professionals, recreational players, competitive amateur golfers, club manufacturers — such as Callaway, PING, Taylor Made, Titleist, etc. — and club repairmen. More than 80 percent of tour professionals choose to play Golf Pride grips and not one is paid to do so — a strong endorsement in an age of multi-million-dollar endorsement deals. Today, Golf Pride has laid claim to more major victories than any other grip company in history. For nearly seven decades, Golf Pride has been the global leader in golf grip innovation and technology, from the invention of the slip-on grip to groundbreaking advancements in cord with its Brushed Cotton Technology (BCT) to the introduction of the hybrid category of grips in the brand’s popular MCC family. Since 2010, Golf Pride has been headquartered inconspicuously in Southern Pines. But the company is preparing to trade its Southern Pines presence for a significantly higher profile one just inside the gates of the Pinehurst No. 8 golf course. In February, Golf Pride broke ground on the new Pinehurst facility, with company occupancy forecasted in the first part of 2019. The campus will also house a consumer grip fitting studio and testing/demo lab, both of which should open to the public around the second half of next year. “As the ‘Home of American Golf’ and host to major tournaments since 1936, the Southern Pines, Pinehurst and Aberdeen area is an ideal location for Golf Pride,” said Jeff Fiorini, general manager of Eaton’s Golf Grip division. Golf Pride currently employs 40 full-time employees in its North Carolina facilities. Golf Pride was founded in 1949 by Thomas L. Fawick, an industrialist and inventor from Cleveland, Ohio, who also happened to be a golf enthusiast. Fawick, inventor of the pneumatic clutch and brake, came upon the notion — quite by coincidence — that rubber might be a superior alternative to leather for golf grips, by providing a more secure and durable gripping surface. The big breakthrough came in 1953, with the introduction of the first slip-on grip. The impact of the slip-on grip on Golf Pride was significant and lasting, but it was no less profound on golf club manufacturers. Convenience of the new slip-on grip immediately changed the lead-time and economics in manufacturing golf clubs. It also made grip replacement a staple service in golf shops, as a quick and inexpensive way for golfers to update their equipment. By the 1960s, the slip-on rubber grip had proven itself at every level of usage, on the club assembly floor, in the club repair shop, at Tour and other competitive golf events, and among golfers in general. 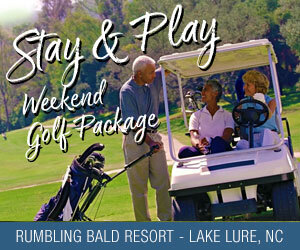 In 1969, Golf Pride relocated to Laurinburg and the company has called North Carolina home ever since. Now, Golf Pride’s revolutionary Align technology — a high-tech upgrade to a secret idea tour players have been using on their grips for years — is moving into the model grip most played on tour. Tour leadership is always a big pillar of the Golf Pride storytelling and the Tour Velvet Align is the industry’s hot new product right now. “The Tour Velvet is the de facto gold standard, there’s no question about it,” said Golf Pride retail product manager Bruce Miller. “If you go to an event with 154 players, literally half the field will be playing Tour Velvet. The Tour Velvet Align ($9 per grip, $9.50 for Midsize) joins last year’s MCC Align and MCC Plus4 Align as Golf Pride expands the technology of placing a channel in the back of the grip to promote proper placement of the hands. The Align feature, which is activated on the grip when it’s installed, uses a slightly raised ridge on the back of the grip with a firmer texture and diamond pattern to help players return their hands to the same place more consistently. The Align idea grew out of the old-school idea of grips that had an internal reminder rib that gave players a similar sensation.